It's said that moving house can be one of the most stressful things you can do in life and I can definitely vouch for that! I made the mistake of moving house when I was 9 months pregnant and that's something I definitely won't be doing ever again! I've also moved house with two young children in tow and again, that was just as stressful. 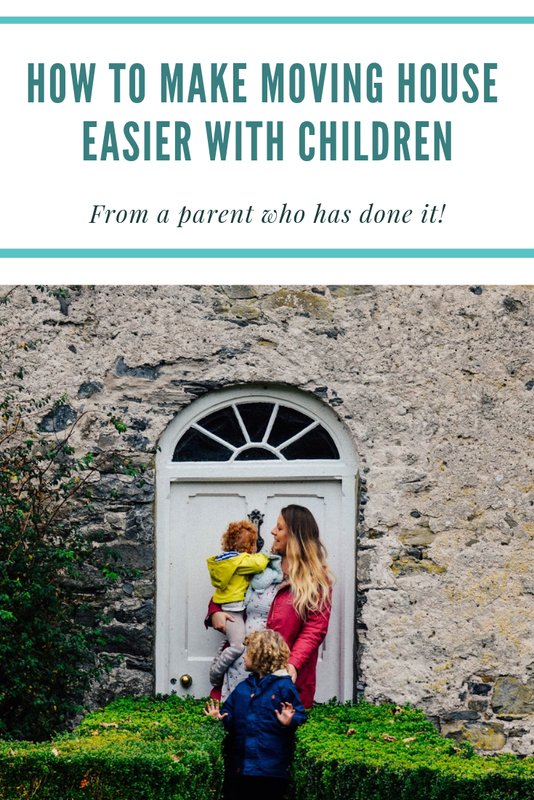 So I'm sharing how to make moving house easier with children, all from my own personal experience. It's not until you move house that you realise just how much stuff you have, so my first tip for how to make moving house easier with children is to have a huge clear out before you start packing things up. Get rid of, sell or give away for free (which I ultimately resorted to doing because I didn't want to have to pack all of this stuff!) anything you know you won't need in the new house. Not only will this save you time, energy and space in packing and unpacking things you'll probably never use again, but you can earn yourself some extra cash by selling things in good condition - money that can then go on the new house. My next tip is to look for moving companies and get them to help with furniture removal and getting everything transported to your new home. When we move house again this is something I am definitely doing. We made the mistake of packing everything up into our cars and it took a lot of trips to get all of our stuff moved - so much unnecessary stress! Having a large van to pack and transport everything up in will make removals so much easier and quicker too, meaning less stress for you and the kids. When moving with children, the first rooms you should unpack are their bedrooms. I did this for my boys when we moved house and it ensured they still had a comfortable nights sleep in their new surroundings. Beds and cots should be the first things to go into your new home and then, if they're older children, they can get involved with unpacking their possessions and placing them where they want to in their new rooms. Getting children involved and excited in a house move is a great thing to do. 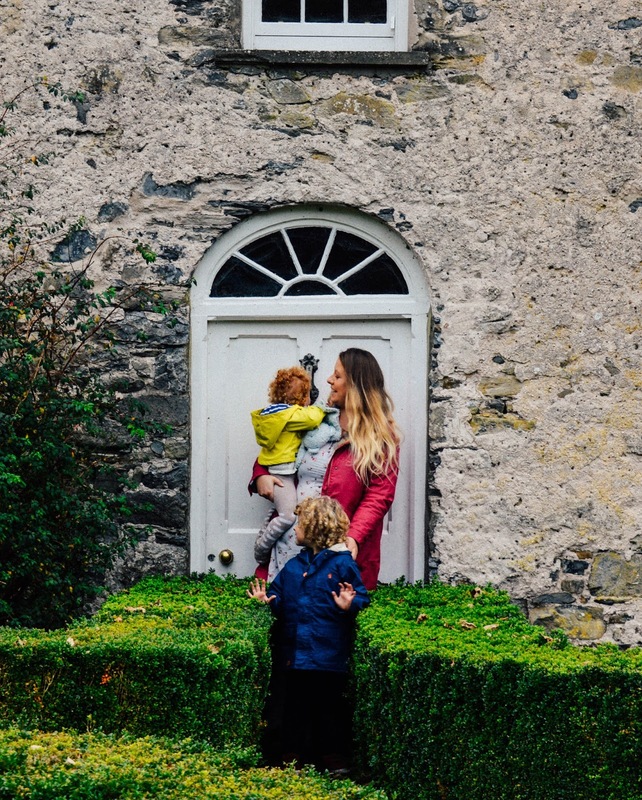 Sometimes children can become anxious at the thought of moving home - my eldest son found it a bit hard at first and still talks about our old house, so by involving them in the move, showing them the new house, letting them help pack and unpack, can help them become excited and more comfortable with the thought of living in a new home. Another way to smooth the process of moving house for your children, is to make sure you aren't under too much pressure yourself. And of course ensure that you have time to help your little ones cope with the changes. An experienced auctioneer will be familiar with any possible issues and shield you from any unwarranted worries. If you have family to help you, a great thing would be for them to take the children out on moving day to do something fun, thus, giving you time to set up with the new house and have somewhere less cluttered, alien for them to come home to. When the kids come back and see familiar things on display, set up, etc. it can help them to settle into their new surroundings quicker and get excited about living in a new home - without witnessing the stress of their parents trying to move and unpack it all! Another lovely idea for kids when moving house is to have a little 'treasure box' for them that they can decorate with stickers, markers, etc. to pop all their prized possessions in, ready to take to the new house. This box can stay with them in the car on their way to the new house, so they're safe in the knowledge that all their favourite things will be coming with them. I think that's the most daunting part for children when moving house, the fear that everything will change and they will no longer have the things they did in the old house. A treasure box is a great way to put them at ease and let them know that everything will still be there for them in the new house. We will have another move coming up next year and I can't say I'm looking forward to it. I'll be putting all of these tips into practice again though and hopefully our next move - with a 7 and 4 year old, will be our last and we can find our 'forever home'.